Hi Kim! I didn't participate in the swap but I am a blog follower. I follow you on Instagram too! It is nice to see you back in this space and I look forward to seeing the layout for your signature blocks. 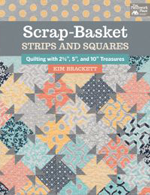 I hope some of the other quilters who participated in the swap get in touch with you soon. I didnt send a block but see your post so saying hello! www.luckypupquilter.blogspot.com I follow along with you on IG too. I do hope you begin blogging again...yours was always one of my favorites! 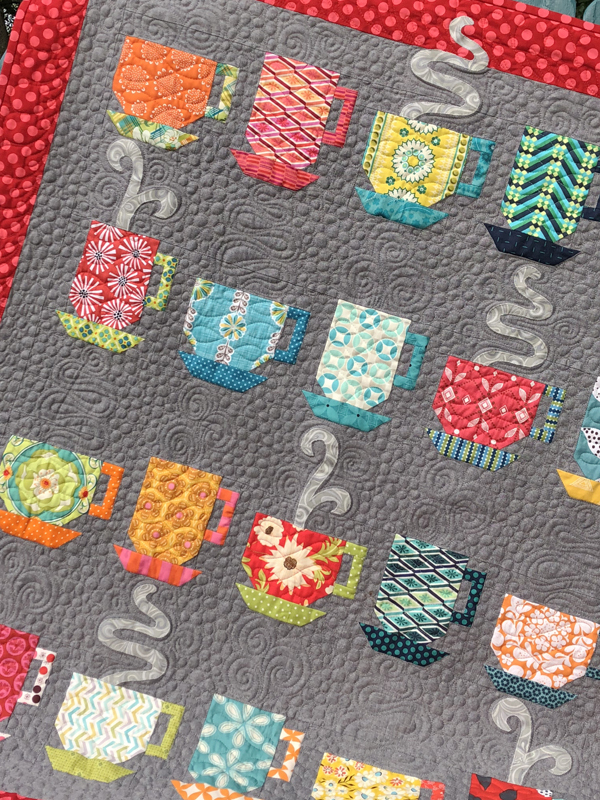 When I first found online quilting newsgroup, I participated in several swaps and have at least two sets of blocks like yours - not civil war though. They are still in their envelope as I haven't taken the time to put them together. I will. someday. Hi there Kim; saw your blog via Bloglovin and so glad I checked in to see you. I retired last year from 17 years at the front counter of a fast-food restaurant and made many friends of customers and co-workers. During the last three months of working, I had them sign a piece of paper along with how long we knew each other and choose their favorite color. I am in the process of scanning so I can size the signature (some people write so small) and then will be creating this exact block to make my retirement quilt. Some of the older acquaintances, it was a chance meeting in the grocery store or the gas station and felt so blessed to run into them. Some have passed away but they will still be remembered in the quilt, they were such bright spots in my day. I'd be very happy to see how your quilt goes together, I'm thinking of a fields and furrows setting for mine (at the moment anyway). I participated in this swap and see my block in your photo. I would like to say I have put mine together but they are still in a bag. I am going to have the groups I quilt with now make a block too and incorporate them into a quilt. Miss your blog. Love your books. 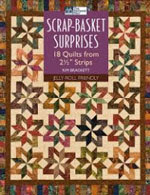 What a fantastic find, it will be fun to see the quilt when you do finish it. Thanks so much for coming back to blogland! I always loved reading yours, and will look forward to new posts now! Hi Kim! 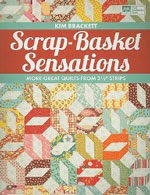 I have had two of your books, Beauties and Sensations, for a few years and enjoyed making a couple of quilts from them. Recently however, I've become obsessed! Over the years, my accumulation of precuts has increased and I've been pre cutting my own leftovers into 2.5" strips and 5" squares. 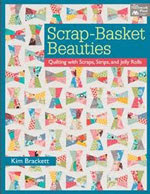 Your books and patterns are wonderfully written and I have several more quilts already planned out. I look forward to seeing more tips and tricks from you here, especially any quilting suggestions. Any thoughts/ideas about quilting rulers? Can't wait to see what you are doing! Hi Kim, I did not swap blocks, but I visit your blog and I now follow you on IG. 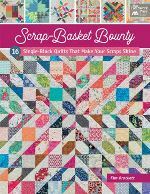 I love your quilt books and have made several patterns! I did not exchange blocks with you, my project this summer is to finish/quilt the 20 tablerunners and wallhangings I have pieced from the last 20 years. If I complete 2/ week, I will have them done in 10 weeks! I'm retired now, so I have the time! I hope you will continue to blog..